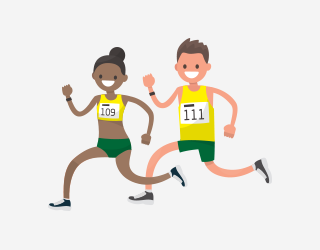 At the pinnacle of athlete pathway, sporting organisations strive to improve the conversion rates from national representation to podium and onto sustained success. They seek to assist athletes to negotiate the myriad of high performance stressors while maintaining a healthy sport-life balance which supports athletes’ well-being and their ability to sustain their performance on the world stage. To distinguish between elite and non-elite athletes in the field of talent development it is essential to fully understand expertise characteristics and their development. Elite performance within the FTEM framework is represented by clear performance benchmarks and achievable planning outcomes. Note however, that the characterisations of elite performers are dependent on whether the athlete is predominantly engaged in an Olympic sport or a professional sport. The following provides an overview of the FTEM elite and mastery phases and presents best practice strategies designed to optimise transition from pre-elite to elite, conversion to podium and sustained elite success. The E1 phase represents achievement of an elite athlete status through selection and representation at the highest senior levels of international or professional sport. 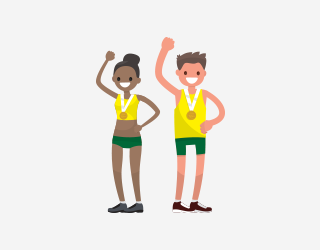 Examples within non-professional sports include representing Australia at the senior World Championships, Olympic or Paralympic Games. Specific to professional sports, athletes are playing at the highest levels of professional competition. Whilst these athletes have achieved an elite status, they are yet to achieve an international podium result or be successful in a professional sport such as winning a national premiership (AFL for example) or a ‘season’s best player’ recognition. Considering this fact, targeted interventions such as tailored support and education prior, during and after an athlete’s initial exposure to key high level events is considered paramount to converting E1 athletes into medal winning athletes (E2). Maintaining a strong alliance with universities and workplaces to provide accessible athlete-friendly and flexible study/work programs. appropriate funding support to assist athlete commitment and development. Optimised and individualised athlete case management through effective interdisciplinary service support including dual career. Provide formalised mentor and coaching opportunities for athletes who leave. Provide formalised and supported talent transfer and amnesty opportunities for athletes who leave. An E2 phase athlete in an Olympic or Paralympic sport has achieved a medal winning performance at a major senior international competition such as the World Championships, Olympic or Paralympic Games. An E2 athlete in a professional sport has achieved recognition within that sport (for example, in the AFL a national premiership, winning the Brownlow medal or a club’s best and fairest player). A better understanding of what factors, attributes and strategies underpin the conversion of an athlete from E1 senior representation to E2 podium success is paramount to developing and maximising investment. That understanding also enhances diagnostics, strategies and system provision specific to pre-elite identification (T1), confirmation (T2) and development (T3). cultivate relationships with overseas clubs and coaches where athletes are competing in overseas leagues, colleges and other competitive opportunities.